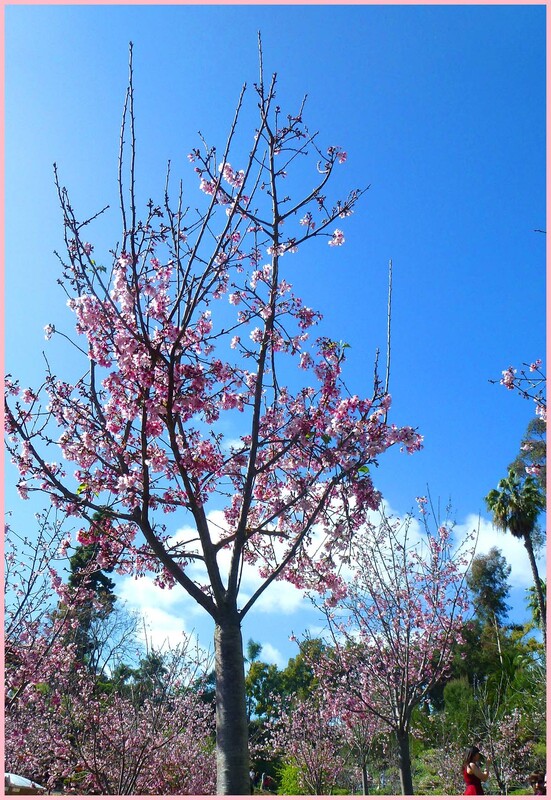 The Japanese Friendship Garden in Balboa Park, San Diego organizes the Cherry Blossom Festival every year! In recent years, this event has become a little more exciting as the expansion project of the park comes closer to completion. 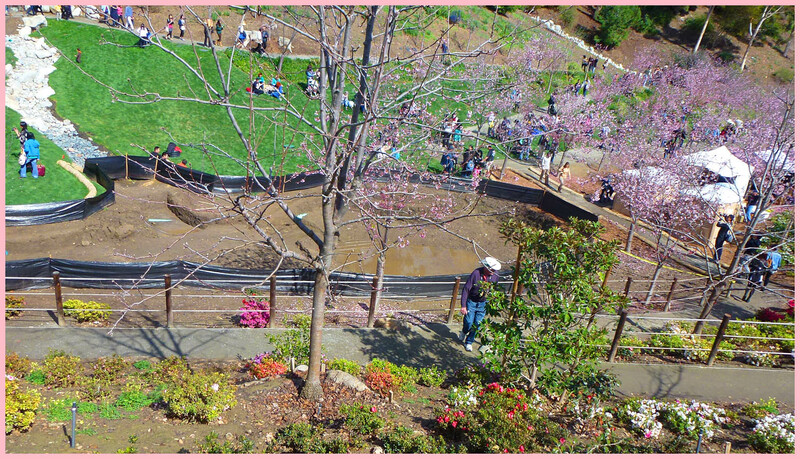 The park acquired the lower canyon area where they have planted one-hundred-fifty cherry trees and will have an additional exhibition space and tea room. Shane and I attended the festival both in 2013 and 2014. Below are images and footage taken from the 2013 festival. Most of the pictures that I took are in the lower expanded area of the park. Many of the plants are new and have not yet fully grown. 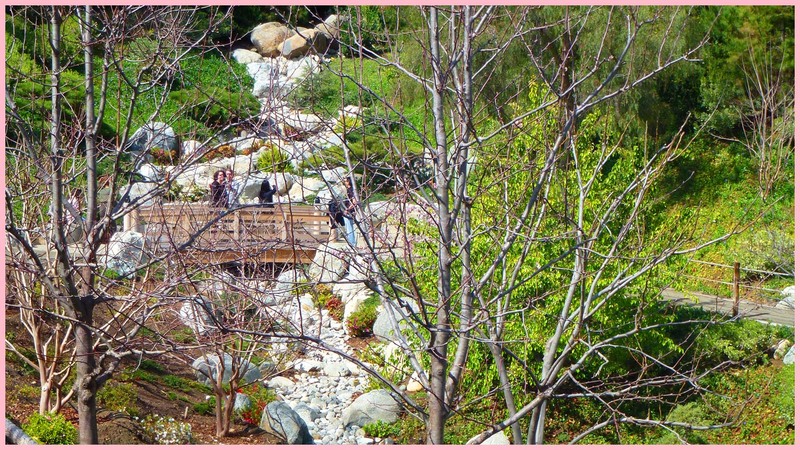 The Japanese Friendship Garden is going to be amazing when it is complete! In the above picture, you can see some of the sectioned-off areas that they are still in the process of landscaping. Above, is one of the wood bridges spanning across the man-made stream. Of course, since this is a festival there were several booths set up selling traditional Japanese street food. We first purchased our food tickets and then eagerly went on to taste-test the various offerings: yakisoba, taiyaki, and takoyaki. We first went on to try their yakisoba. This was a noodle dish with small pieces of cooked and pickled vegetables. The dish was mild in flavor but good. Unfortunately, I don’t have images of the yakisoba to show, but if you watch the video at the end of the blog post, you can see us try it! 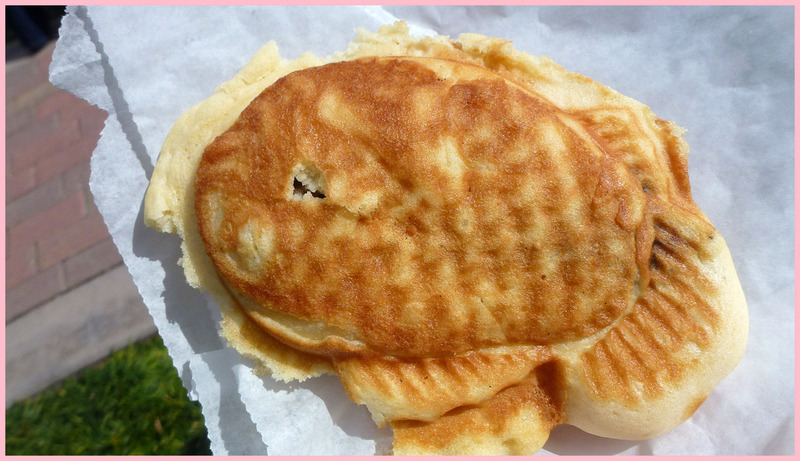 Next, we tried the taiyaki which is a fish-shaped pancake filled with sweet red bean paste. This was definitely our favorite of all the foods we tried at the festival! The exterior pastry is just like a light, fluffy pancake! The red bean paste inside is smooth and lightly sweet. 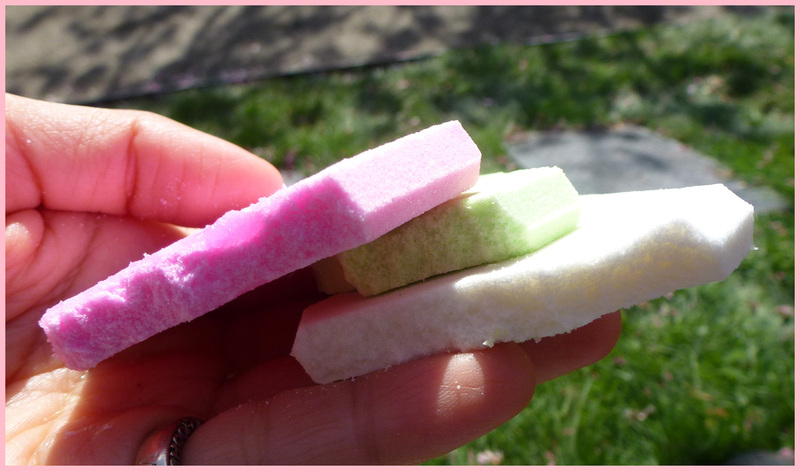 If you like mochi, you will love this! 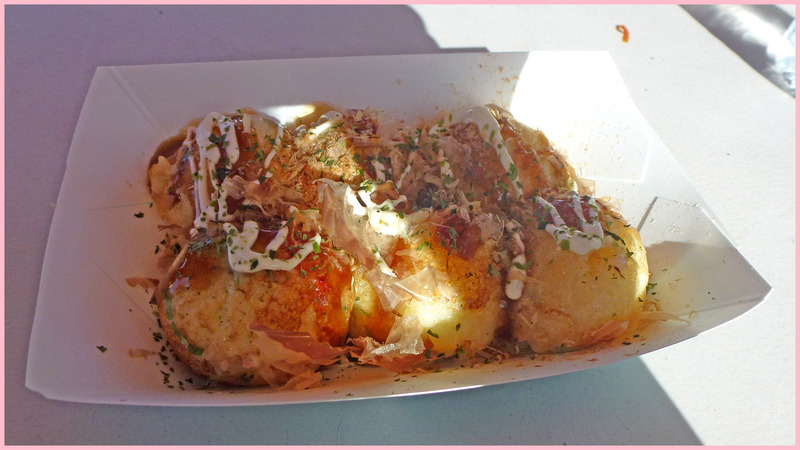 The last prepared dish we tried was the takoyaki. We were very lucky because we were one of the last people able to purchase this before they ran out! Takoyaki is dumpling with pieces of octopus inside. The dumplings are covered in a sweet soy sauce mix, drizzled with a little mayonnaise and finally sprinkled with bonito flakes. This could have been really delicious, however, the cooks rushed in preparing this dish trying to keep up with the long lines of customers. The batter wasn’t fully cooked, leaving the takoyaki a little soggy. Otherwise, this would have been excellent. Now onto our Japanese candy review! Shane and I decided to walk down to the lower portion of the park and sit in a sunny patch of grass to conduct our review. 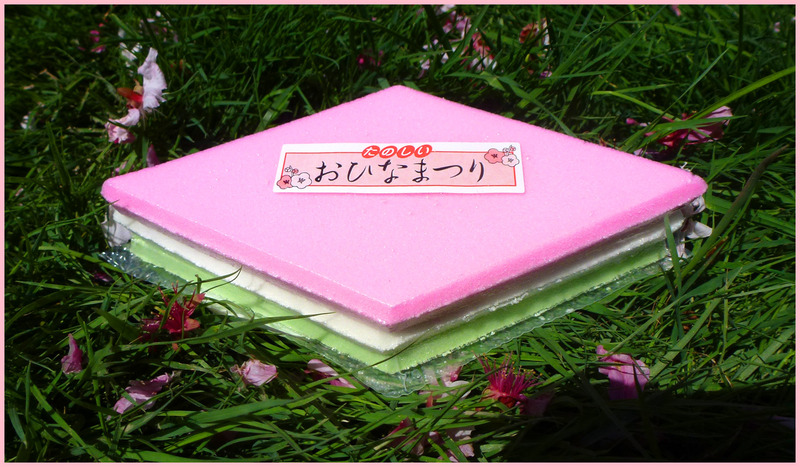 The candy we tried is a special treat that comes out specifically for Cherry Blossom season in Japan and is called Tanesei (Hishiuchi). 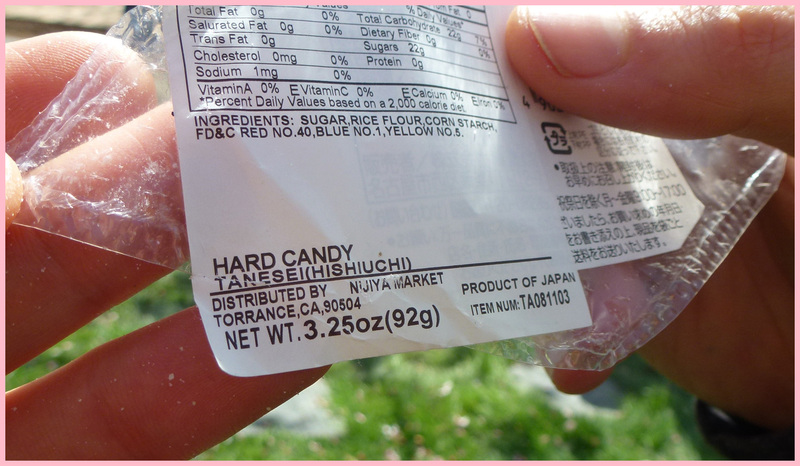 Shane found this at Nijiya Market in San Diego and was immediately drawn to the bright colors of the candy! Being that this was a special treat that comes out once a year he definitely had to pick this up and give this a try. The candy was rather large. Each diamond-shaped piece was about 6 inches in length! Despite their size, they were light and airy. Upon looking at this product, one wouldn’t necessarily assume this was food. 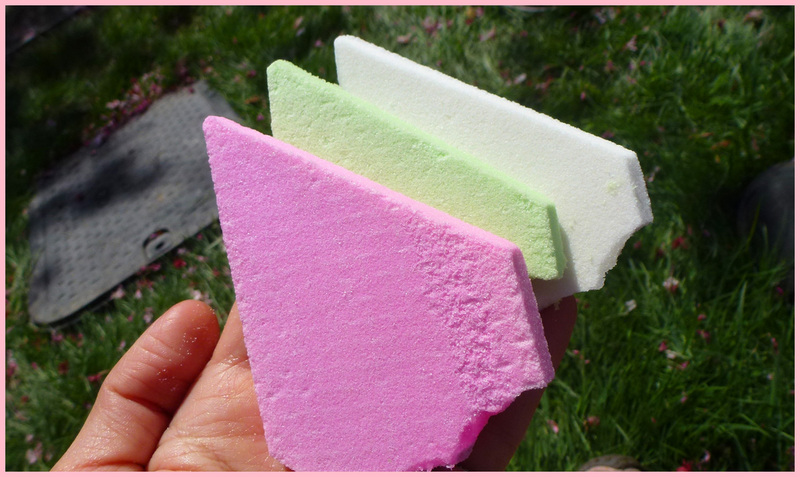 At first glance, it looks like hand soap because of it’s large size, matte texture and bright color. This is a rice flour and cornstarch candy. Well, it might come as no surprise that this did not taste very good. 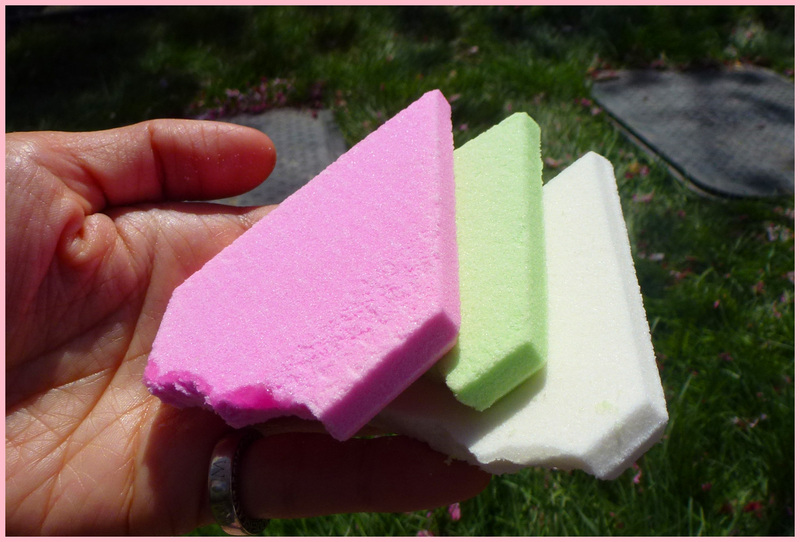 The candy was hard, light and crunchy making it’s texture very similar to styrafoam. 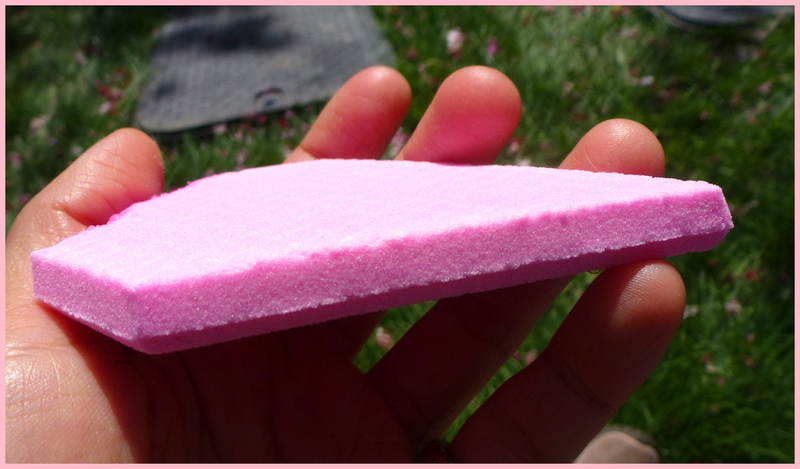 If you took foam core and wafted a little sugar in its direction that would be a pretty accurate description of what this cherry blossom candy tasted like. Another way I can describe this is if you have ever participated in holy communion in a Catholic mass and eaten host, this tastes like a very thick, hard version. Unfortunately, Shane and I gave this candy two thumbs down. 😦 If any of you out there is familiar with this candy, definitely let me know! Maybe there is a special way in which this would be eaten in Japan and I’m just not familiar? 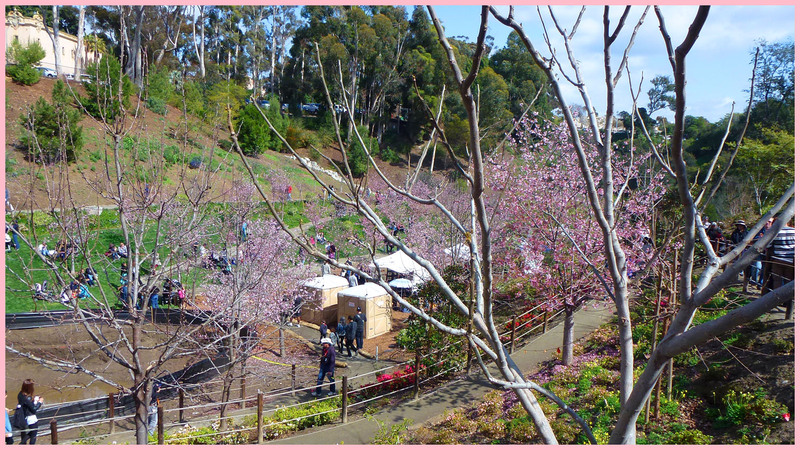 Shane and I had a wonderful time at the Cherry Blossom Festival in the Japanese Friendship Garden in Balboa Park and would definitely recommend anyone attending! If you would like to watch our video review of our experience you can watch it below.